Reading through state records we just received, I'm reminded of a famous scene from the Wizard of Oz when Toto pulls back the curtain to reveal that the Wizard is just an ordinary man orchestrating a grandiose illusion. The greyhound racing industry also maintains its own deceptive facade. It claims that it effectively regulates itself, with some state oversight. But the curtain was drawn back last week, with the release of regulatory e-mails by the Iowa Racing and Gaming Commission. 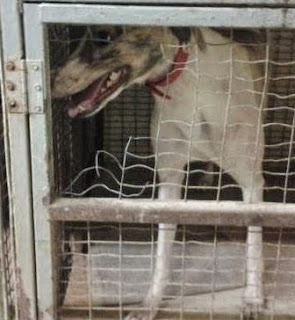 These files offer a behind the scenes look at how dog racing is actually governed, and provide a frank assessment of several humane problems. They also document attempts by state veterinarians to pass reforms, efforts that were resisted by a recalcitrant industry that fights to maintain the status quo. "We had this happen frequently at Dairyland. We had to lower our fines due to so many Flunixin positives from the meat ... The 4D meat comes from sick and downer cows. Farmers will do and give anything to try to get the cow standing so she can go to slaughter ... Most of these cows are dehydrated and half dead so very little flunixen is absorbed ... instead it's essentially pocketed in the muscle. The crooks in the 4D meat business use the dead cows for racing and zoo meat." "We had a 2 kennel outbreaks this week, and when I called them tonight, they both said that they are using that meat. After 46 years with the 'Greathounds' I don't find too many surprises when it comes to the 'nutrition of the racing hound by witchcraft.'" 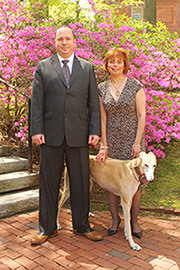 "I believe at a minimum the cages should comply with MINIMUM HSUS standards for large breed dogs, which would be 6ft x 4ft with NO STACKING ... my colleagues in the Greyhound regulatory world have agreed with my proposal." "I am appalled that dogs are being permanently housed in cages the size of airline crates." "The kennel size issue was something I brought up years ago and I couldn't really get anyone on board to configure a way to improve the current layout although the GM of the casino was in complete agreement and understood why stacking dogs is not a good idea." "Of those topics, definitely the most controversial is the kennel issue. Several trainers have come up to me and voiced their irritation at those changes. Most of the complaints seem to boil down to money, as one would expect." "Ultimately, the voters are the ones who will decide the future of this industry, and the industry needs to be reminded of that." "It is my understanding that when greyhounds are being raised, they spend the first several months of their postweaning lives in large, long runs that gradually get larger as they get bigger ... they are only suddenly put into these much more confining crates in racing facilities ... I often marvel at these dogs. How can we expect such amazing athletes to sit confined to a small cage for upwards of 3 hours and then put them on a track to sprint without any warm-up except whatever they get trotting over to the box? ... a very consistent behavior I see in these dogs is, as they are brought out of the lock-out area, is that they jump, stretch and shake very vigorously. This tells me that they are not able to do these things very well in the cages." "The industry defends the small cage sizes by saying the dogs get turned out 4-5 times a day for 30 minutes at a time for exercise. I don’t really buy into that as a veterinarian and am concerned about the stress of small confinement as well as air quality in kennels and sanitation concerns from stacking of cages. Currently we have about 72 dogs per kennel here in Iowa." "The answer to your question is 'Zero.' ... are they saying that they can not repair some of the fractures? Every fracture that I have sent out even open radius/ulna and open tibia fractures have been repaired successfully ... I can honestly say that the success rate is almost 100%." "I can tell you that way to many dogs were put down out of 'convenience' at Kansas tracks due to multifactorial reasons ... since I was not on-site for the last 5-6 years, of GH racing, I was negligent in appropriately addressing this horrific problem. I will tell you that when I sub'd for my vet's and had a FX, I was very reluctant and in several cases refused to kill the dog. The trainers hated me for that." "I had to call the local KC adoption groups to orchestrate saving these dogs. It's always about money which invariably pissed me off so that I had some knockdowns with trainers." "We had an initial meeting involving the IGA on this issue and I can’t say they have exactly taken the ball and ran with it ... what’s sad is that we continue to euthanize dogs at the trainer’s request for non-life threatening injuries while running for $10 million plus purse supplements from the casino industry. Our initial meeting was well over a year ago with Iowa State, IGA, Heartland rescue and Harrah’s representatives. No one has reached out for a follow up meeting to this point. VERY disappointing." "As you are already aware - change is difficult for these people and getting them to comply with even a 2 or 3 week vaccination prior to coming may be hard to enforce despite the benefit." "I am all for some kind of guidelines as a group because this place wouldn't stop racing this past summer when the actual temps were over 100 and the heat indexes over 112!! I was almost ready to call GREY2K myself then." "To try to placate me, they put a row of 5-6 water hoses near the escape & made it a judges order to spritz every dog with water as they came off the track. Unfortunately, all the hoses were placed together so close & were all coming out of the same line that water pressure was near zero when more than one person tried to use them. That's Southland for ya!!" In a similar e-mail that was also sent in 2011, Dr. Lori Bohenko, a veterinarian with the West Virginia Racing Commission, indicated that it is "always a battle with (track) managment" when the state discusses cancelling a race card due to cold temperatures. She also describes a difficult fight with Wheeling Island over the simple issue of replacing "tattered" and "torn" winter blankets for the dogs. Like the Wizard of Oz, the greyhound industry tries to distract us from seeing what is really behind the curtain. Unfortunately, it seems to be a great deal of suffering and death. Here in Tucson where it can easily be 100-degrees at race time, dogs run through a sprinkler. Yes, that is their cool down method...a few dribbles. Thank you for exposing these hideous practices by people who profess to love their dogs. Can you imagine if they hated them? Not everyone who races greyhounds is scum. But we can all expect to get judged by the company we keep.